The defense agencies have been a patron of the atmospheric sciences, prompting many innovations that have found a plethora of applications. 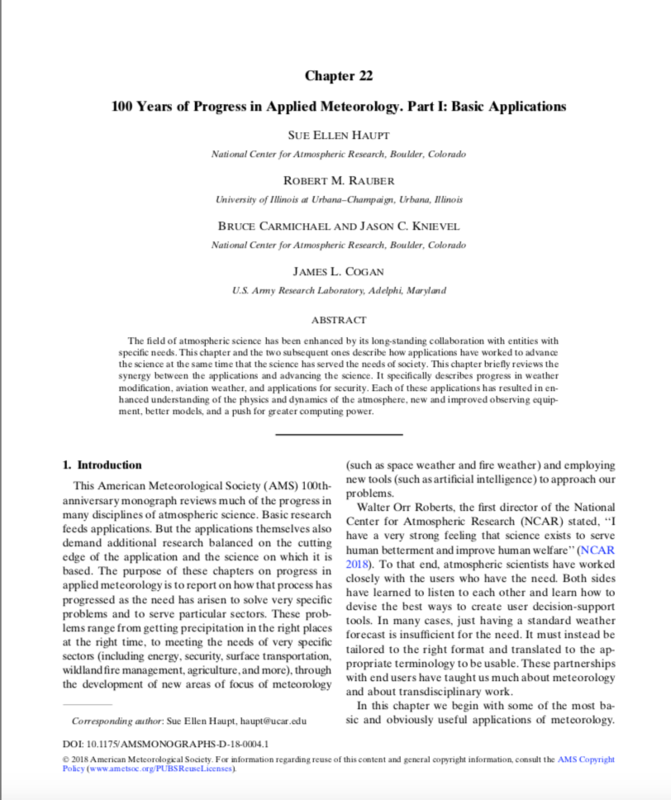 Such advances were seen in instrumentation, including radar, lidar, and satellite platforms; transport and dispersion sensing and modeling; and probabilistic forecasting, including ensemble applications in NWP. The funds supplied by military agencies have allowed much basic and applied research in the field. Those same agencies are necessarily forward looking, encouraging rapid adoption of best practices and looking toward future applications, including in weather modification and mitigation of the impacts of the changing climate.